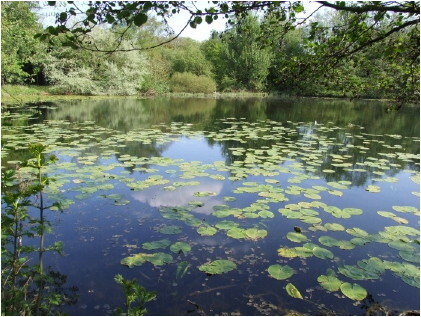 We are an active group of enthusiastic amateurs and professionals, who arrange indoor and outdoor meetings and study the natural history of the Sandwell Valley. The Sandwell Valley Naturalists Club was founded in 1975 by 27 naturalists, both amateur and professional, who were concerned about the future of the valley within its urban setting. Several recording projects were initiated and have been in the main continued over the past years by an increasing number of enthusiasts. Note - the 'Cascade Lake photograph' expands. Meetings are held usually on the first Wednesday every month, throughout the year. We hold indoor meetings from October to March and these are normally held at the RSPB Centre, off Tanhouse Avenue, Hamstead, West Bromwich. Field meetings are held from April to September at a Variety of locations within the Valley or at other locations in the Midlands where the fauna or flora is of special interest. In these cases the Club provides site information and advice with regard to the terrain and other matters that members or visiting friends may find useful. The Club is fully insured with BTCV in case of mishaps and this insurance is annually renewed but anyone coming to the meeting will be expected to take note of the health and safety provisions set out by the activity leader. Conservation work, previously carried out by club members in Sot's Hole, a very interesting part of the valley, is now in the hands of the recently formed Friends of Sot's Hole. Members are encouraged to submit records of animal and plant species found in the valley, and all records are sent to the The Wildlife Trust for Birmingham and Black Country for inclusion in their database - EcoRecord. For many years, members have been regularly recording the animals, plants, fungi and insects they have found in the Valley and the species lists are regularly updated. Wildlife images in the strip and elsewhere on this page are copyright, Sandnats.